on special limited edition Compact Disc! Click on the highlighted songs for audio samples! $80 & $12 s&h Priority Mail Intl. New! 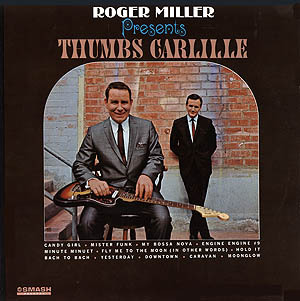 Thumbs Carllile on DVD!!! 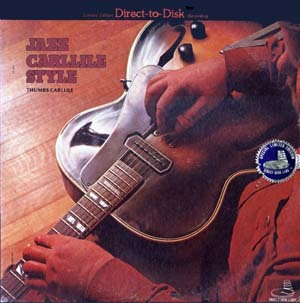 With kind permission from Virginia Carllile, these rare and OOP records have been remastered by RecordRescuers.com and are available as a special limited collector's edition. Every care has been taken to preserve the natural sound of the original records and remove clicks, pops and surface noise. Original album artwork has been transferred to CD as well. 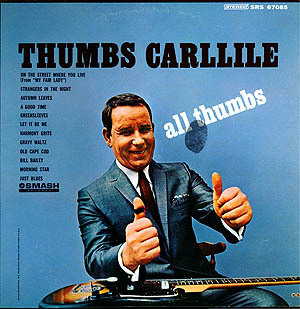 If you're a fan of Thumbs Carllile, here is your chance to enjoy these four very rare albums on CD! "My dear Eric...there is simply no way to express my gratitude for your interest in putting together the website and CDs for Thumbs.....the sound quality is just superb, and the site is first class! Thumbs would be so proud....and so am I. Thank you more than I can say." 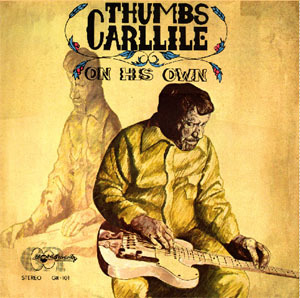 “Thumbs Carllile on His Own” is a nice recording re-release by the critically under-appreciated guitarist, Thumbs Carllile who good-naturedly spanned many genres with his homegrown virtuosity. He tackles jazz and country music both with a deep feeling for both and funkiness oozing between his fingers! Thumbs was the baddest! 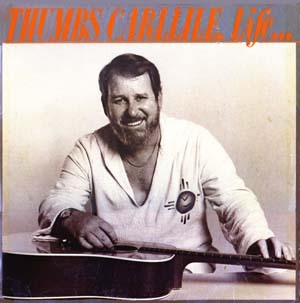 Thumbs Carllile “Guitar Wizard” is the product of a brilliant and very original guitarist playing well known soft rock and easy listening pieces with the assistance of Nashville “A-Team” players of the 1970’s. His self taught technique of “lap guitar” is definitely worth investigating! I havent heard "On His Own"sound that good since I bought the original LP back in 1974!In fact it even sounds better!! !Great job on the cover work also.Thank you for keeping Thumbs music alive and for the wonderful job you have done restoring his music. Thank you Eric for putting this together for all us Thumbs geeks & wannabee's. 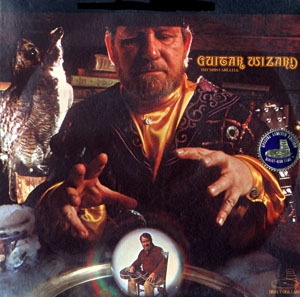 I had two of these original albums, but now I've got another 50 yrs of learning. Thanks! RoyClark.org Musicians on "Guitar Wizard"
Musicians on "Jazz Carllile Style"
©2004-2019 King Tet® Productions, Ltd.
King Tet® is a registered trade mark for King Tet® Productions, Ltd.